Everyone loves dumplings. They make people smile. Making them with friends is extra satisfying. Join acclaimed cookbook author Andrea Nguyen to explore the world of dumplings. You’ll learn how to prepare fillings and dough, then wrap, shape and cook the dumplings to perfection. Andrea will help you master Asian dumplings, many of which require only supermarket ingredients. She’ll also share shopping tips and culinary history from her book, Asian Dumplings, considered one of the best Asian cookbooks by Cooking Light magazine and an International Culinary Association of Professionals award finalist. This is a 2-hour, hands-on class so be prepared for lots of cooking, eating and learning! 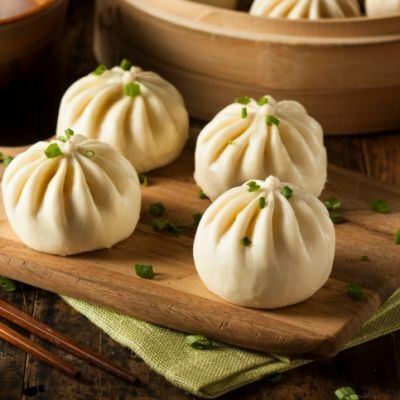 The menu includes: Pork and Shiitake Siu Mai, Lamb and Garlic Chive Pot Stickers, Kimchi Dumplings, Har Gow Shrimp Dumplings and Sesame Seed Balls.